Our Nursery school in Southsea is based in Silver Street and is a key part of St. Jude’s Church mission to Southsea. 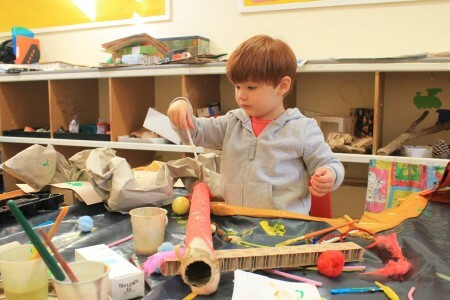 We offer subsidised places, and a safe, supportive environment where your children can play, learn and grow. 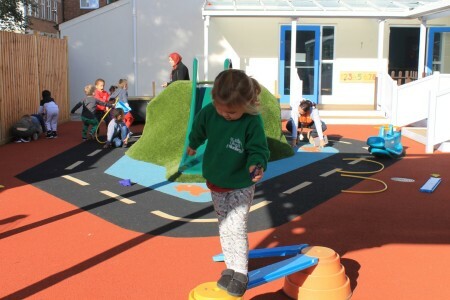 Our Nursery is fully regulated and rated by OFSTED and we can cater for up to 60 children at any one time and are closely affiliated to St Jude’s Primary School. The Nursery Manager is Levinia Glanville. She, together with nineteen NVQ3 Level trained staff are here to look after your children. The majority of these staff have been with us for over five years, and some for many more than that! We work together to provide a safe, happy and friendly environment that encourages your child to develop the social, intellectual and physical skills needed for School and life. 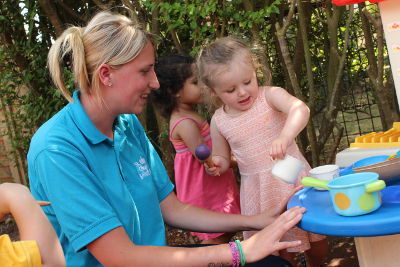 Our friendly nursery consists of five colour themed rooms, and a garden. The children are allocated to either the Stars, Sunbeams or Rainbows depending on their age. Parents can book sessions according to their needs. Snacks and drinks are provided during the morning and afternoon sessions. If your child is attending a full day, you will need to provide a packed lunch for them. We are open between 8am and 6pm, Monday to Friday 51 weeks a year”. We offer a breakfast club (8am and 9am) daily followed by a morning session (9am-12noon), a supervised lunchtime session (12-1pm) and an afternoon session (1pm-4pm). We can also look after your child between 4pm and 6pm (chargeable in half hour blocks). We also provide a morning and afternoon walking bus service to and from St Jude’s School.